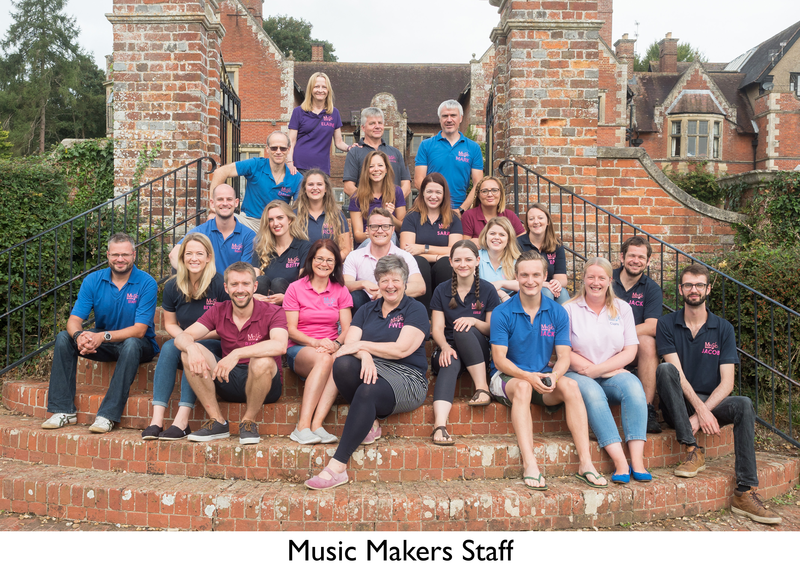 Music Makers, founded in 1995, is directed by David Andrews GRSM LRSM ARCM, assisted by a team of specialist teachers who have become legendary for their energy, enthusiasm and ability to draw the best out of each young musician. 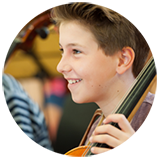 The courses are great fun as well as educational and aim to help each young musician to develop their abilities and confidence in playing and performing. 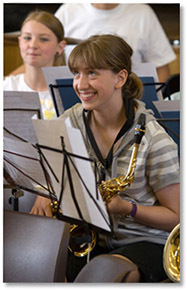 The courses are five days long, culminating in a presentation concert of some of the music rehearsed during the week. If you are not sure which course is suitable for your child, please contact us for advice. 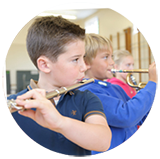 The Junior course is suitable for children with no previous musical experience as well as those who are already learning to play an instrument. 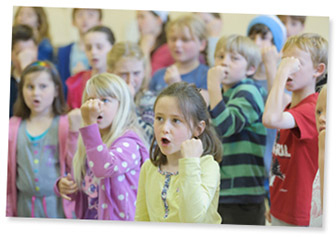 The course includes lots of singing and group instrumental playing to help foster aural, melodic and rhythmic skills. Music reading abilities will be developed during the week as well as experience in following a conductor in both vocal and instrumental rehearsals. 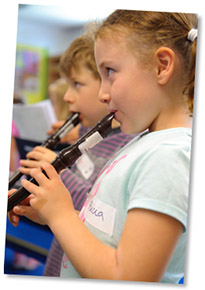 Children who have not yet started learning an instrument will be able to join in all the instrumental rehearsals on recorder, which we will provide. 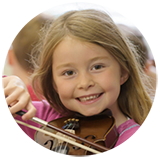 Each day a different family of instruments will visit from the Senior Course, giving the children a chance to see, hear and learn about the instruments of the orchestra (please note that we are unable to give individual instrument trials during the week). 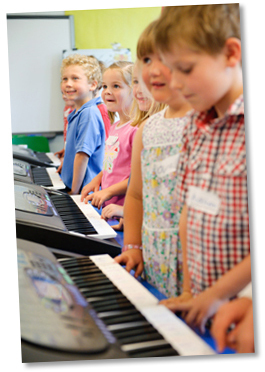 The emphasis is very much on fun, with music related games and activities helping to stimulate an interest in music making. There will be a concert featuring some of the week’s songs and instrumental pieces at 3pm on the final day. 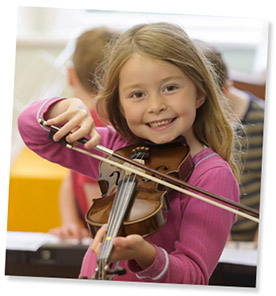 This popular course is suitable for children with no musical experience as well as young instrumentalists in their first years of playing. 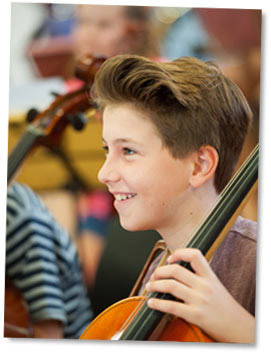 A variety of musical activities will include singing, instrumental work in sectional groups and full orchestra rehearsals, featuring a wide range of styles from classical to jazz, songs from the shows and pop music. 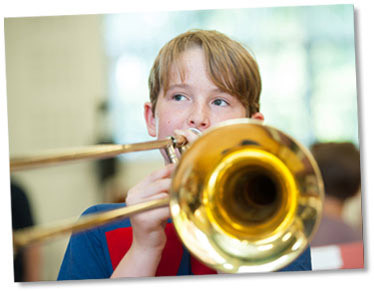 With the emphasis very much on fun, skills developed throughout the course include music reading abilities, aural, pitch and rhythm awareness, music theory and performing arts skills. 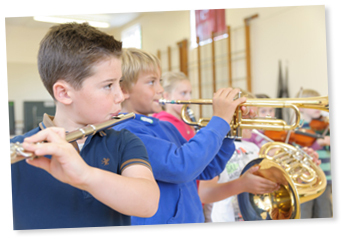 Children who have not yet started learning an instrument will be able to join in all the instrumental rehearsals on recorders, which we will provide for them. 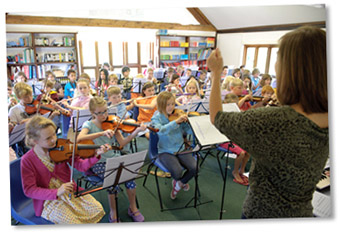 Each day a different family of instruments will visit from the Senior course, giving the children a chance to learn about and hear all the instruments of the orchestra. These instrument demonstrations will be of interest to all and particularly to those who have not yet chosen their future instrument. The Intermediate course ends with a performance of choreographed songs and instrumental pieces in a concert at 3pm on the final day. The Intermediate course is not suitable for drum kit players, however they are very welcome to attend on recorder, which we can provide. 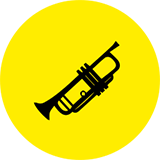 Please note that we are unable to provide individual instrument trials during the week. The least experienced will receive any extra help required and the more advanced players will be given the opportunity to try more demanding music. There will be a concert at 7pm on the final day. On our final (advanced) week there will also be a separate chamber concert. There will be opportunities for swimming in the heated outdoor pool. 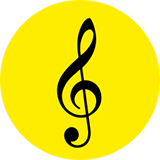 The Senior course is NOT suitable for beginners, harpists, pianists, guitarists, tenor horn, soprano sax or recorder players. A minimum standard of Grade 2 is necessary to benefit from the Senior course (minimum Grade 4 for percussionists). 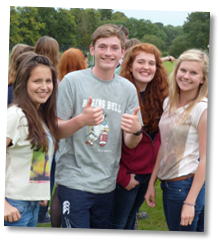 There is a residential option for the Senior course. Residents will arrive the evening before the course begins and stay in dormitory style accommodation with all meals provided. The courses take place at Forres Sandle Manor School, a beautiful 600 year old Manor House in Hampshire, set in 35 spacious acres of grounds and playing fields on the edge of the New Forest. A packed and varied programme of musical, social and sporting activities will be available during the evenings, including choir, swimming in the outdoor heated pool, karaoke, ultimate frisbee, table football, unihoc, waterbomb volleyball, rounders, football, tennis, informal concerts, a music quiz, discos, table tennis, film nights and wide games including the legendary Customs and Smugglers! The music staff stay at the school and join in the evening activities. There is also a team of dedicated house staff to take care of the boarders. Dormitories are quite large (5 – 10) which makes it easy to make new friends if you are coming for the first time. If you would like to be with any particular friends you can specify this on the application form. 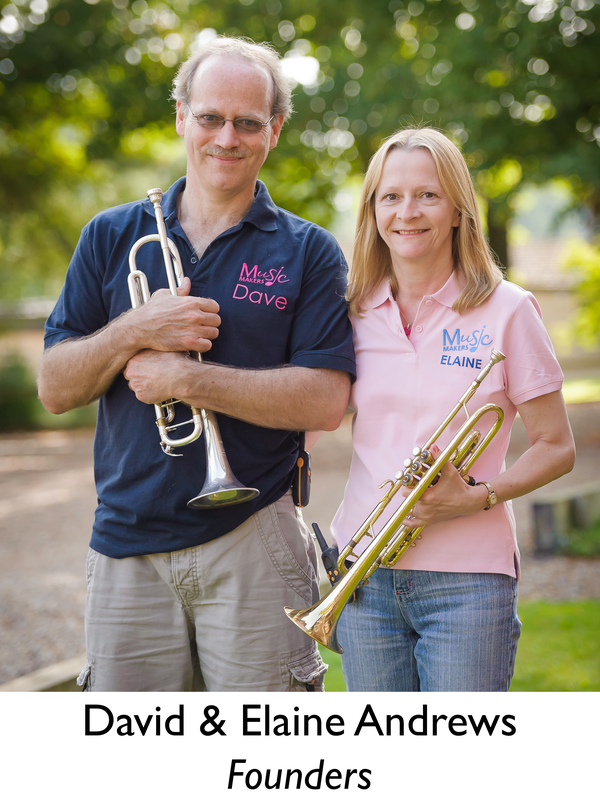 Music Makers courses are great fun as well as educational and aim to help each young musician to develop their abilities and confidence in playing and performing. The courses are five days long, culminating in a presentation concert of some of the music rehearsed during the week. If you are not sure which course is suitable for your child, please contact us for advice. If you would like to check before booking that there are places left on your chosen course, please email us. To receive a brochure and application form please send us your name and home address by completing the form below. Please note: Brochures for the summer course will be sent out in January each year. If your child has previously attended a course there is no need to complete the form as you will automatically be sent the information. Your Privacy: Your privacy is important to us and your details will not be shared with any other organisation. 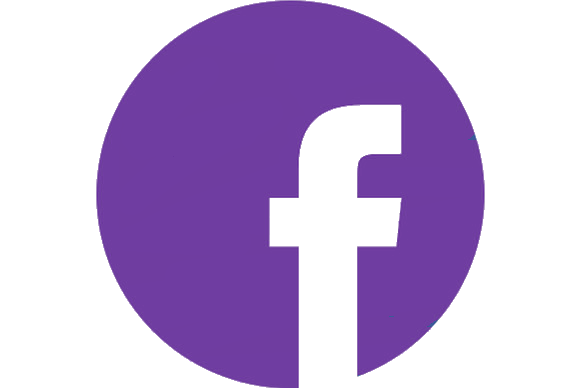 By giving us this information you are consenting for us to contact you with news of current and future Music Makers courses. You can contact us to be removed from our mailing list at any time. 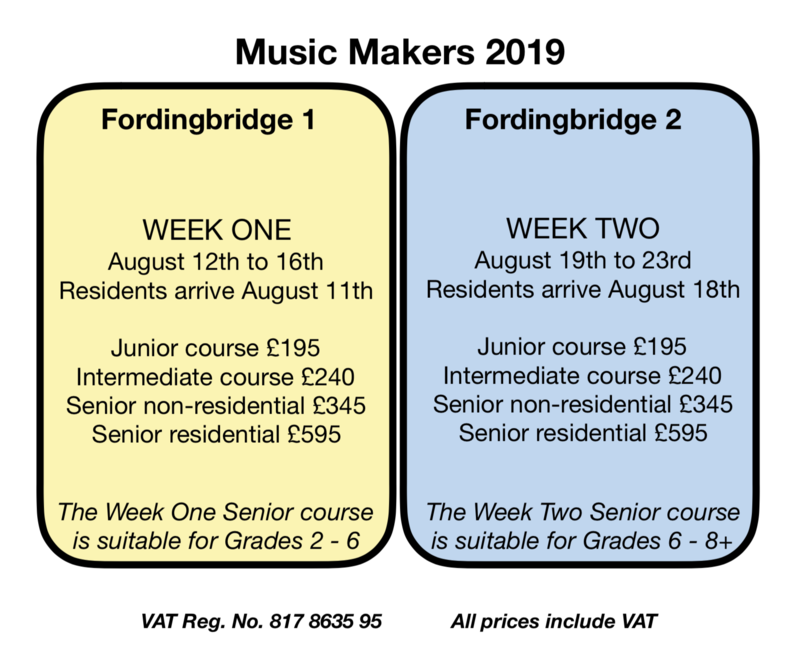 Music Makers Events Limited Registered Office: 16 Whitsbury Road, Fordingbridge, Hants SP6 1JZ.